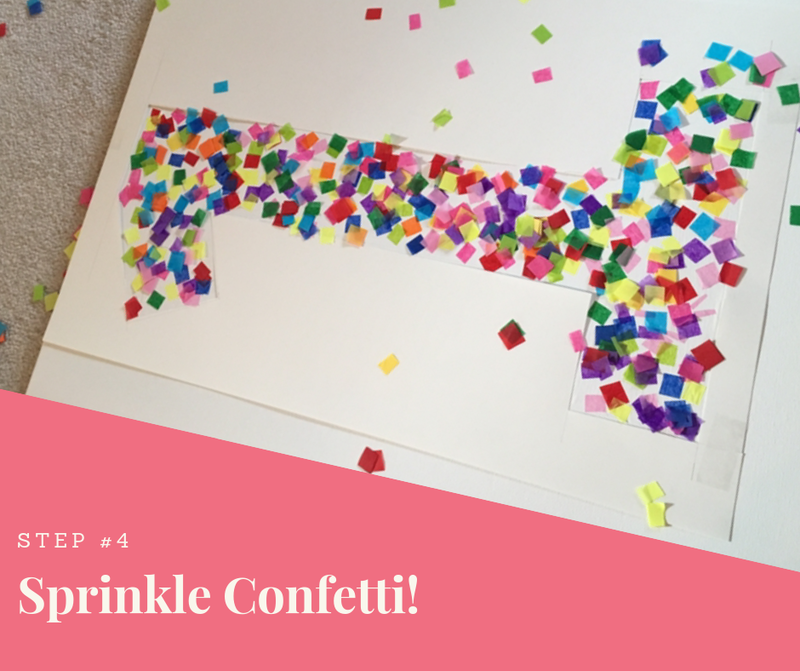 How to make a DIY confetti sign! This post is several months in the making - I’m still working on getting blog posts up while still taking care of a baby! But - said baby turned one (WHATT??) this past November, and I did a couple DIY projects I thought you all would enjoy. 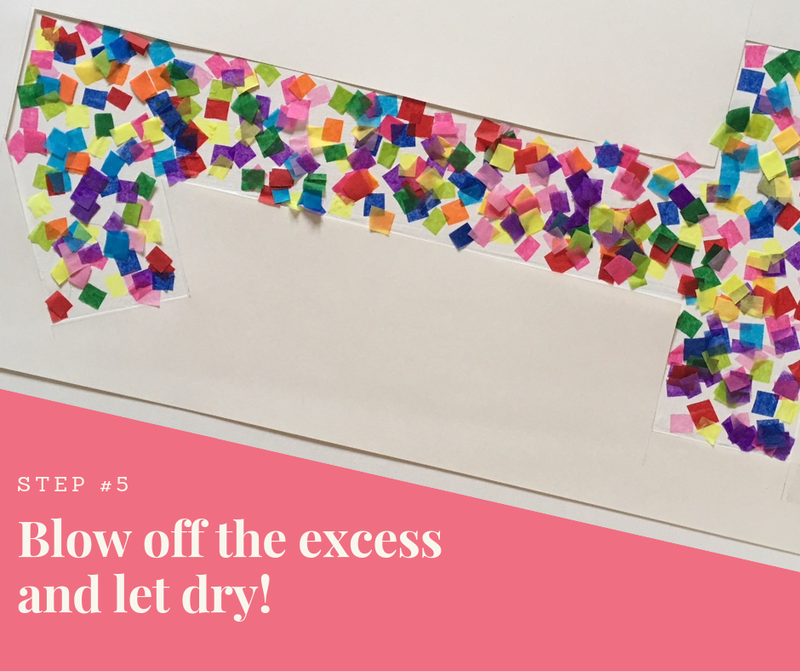 Today we’re talking about how to make a DIY confetti sign. Delta’s 1st birthday theme was confetti. Full disclosure: I did this because I had extra confetti lying around the house! So rule #1 is look at what you have available and work with it! The first thing I did was buy the size canvas I wanted (canvas is super easy cause you don’t need a frame, plus the white background shows off the colorful confetti really well), and a piece of cardboard to create my stencil. This was for Delta’s 1st birthday, so I used a ruler to draw out and then cut the number I wanted on my sign. I then gathered the rest of the materials I needed - namely the confetti (again, I had some lying around which I cut into smaller pieces), mod podge (the queen of DIY craftiness) and a cheap sponge brush. After aligning the stencil and taping it on with painters tape (which could then easily be removed once everything dried) I painted on the Mod Podge. I used the beveled edge of the brush to help keep within the stencil lines. Then, the fun part! I sprinkled the confetti! At first I let it fall wherever it fell. As things took hold, I started being a bit more strategic, to make sure the colors were fairly even - so I’d use my fingers to apply small squares here and there. But mostly I just let loose and had fun! I then blew off the excess confetti, and kept the stencil in place while it dried! I told you, easy peasy. I decided once it was done that I wanted to add a couple confetti pieces around the one to tie it all in - and voila! FYI, I attempted to go back over the confetti with Mod Podge on TOP, just to see how it went - and the confetti paper was so thin, it didn’t love being saturated by the Mod Podge and the colors ran a bit. So I don’t recommend it!